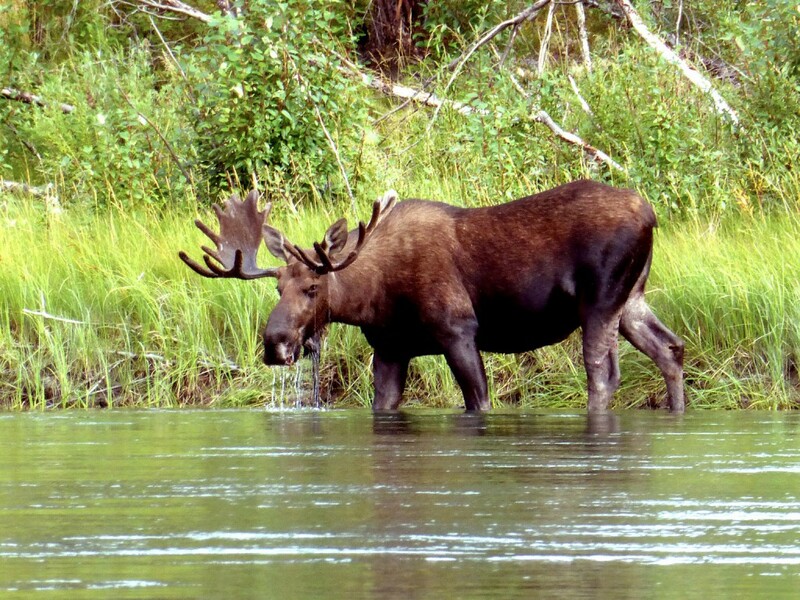 We paddle the Big Salmon River in central Yukon and experience a land that shows no signs of civilization but is home to wildlife like moose, bears and water fowl. This river appeals to the adventurer who is looking for a challenge. This trip offers stunning views and good wildlife viewing opportunities. Day 1: Arrival in Whitehorse, check-in at your hotel. Time for discovering Whitehorse, last minute shopping before the trip. In the evening introduction to the other participants and trip briefing. Day 2: From Whitehorse we drive for 250 km with our van to Quiet Lake, the start of the canoe trip. After a short briefing and the first instructions about canoeing we are on our way. 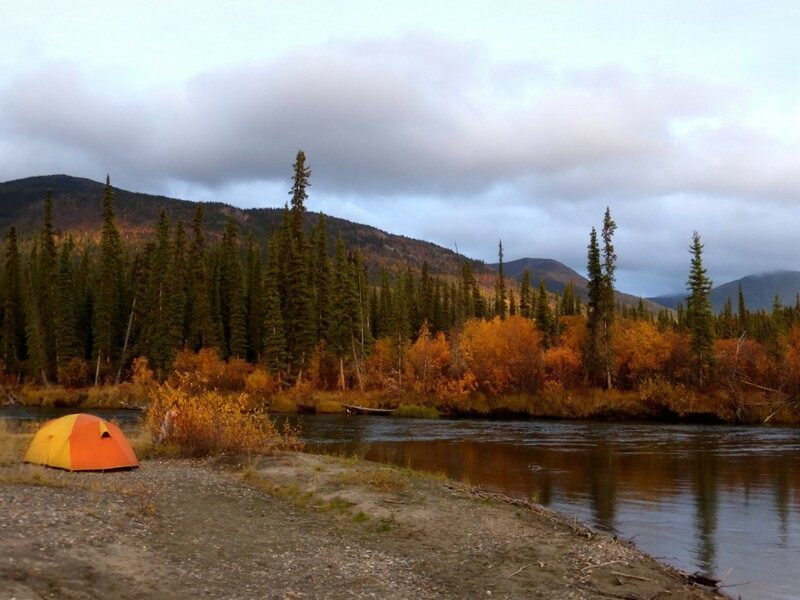 Long daylight hours give us enough time to reach our first wilderness camp. Day 3 to 12: Surrounded by the rugged mountains of the Big Salmon Range the small lake system makes us feel at home in the wilderness right away. On small connecting streams we paddle from one lake to the next. At night a loon might cry across the water surface. Starting as a small creek, the Big Salmon River has clear water and some tight bends with driftwood obstructions. The river widens and small tributaries with gravel bars invite for frequent stops. After each bend, the scenery seems to change. Slower sections are great to enjoy the vistas, while the odd log pile gets us back into action. Fishing and photo stops break up the day. Setting up camp at a new location every evening becomes a daily routine. 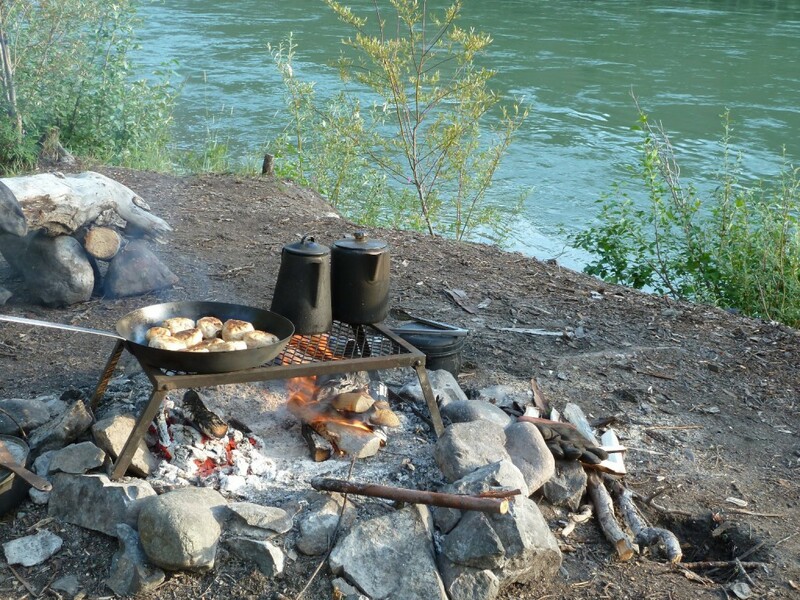 On the campfire your guide will create a delicious meal. Further into the trip, the Big Salmon meanders through more open poplar country. Swift choppy water on the last day on the Big Salmon River makes up for some excitement. Way too fast, it seems, after 250 km we reach the Yukon River. 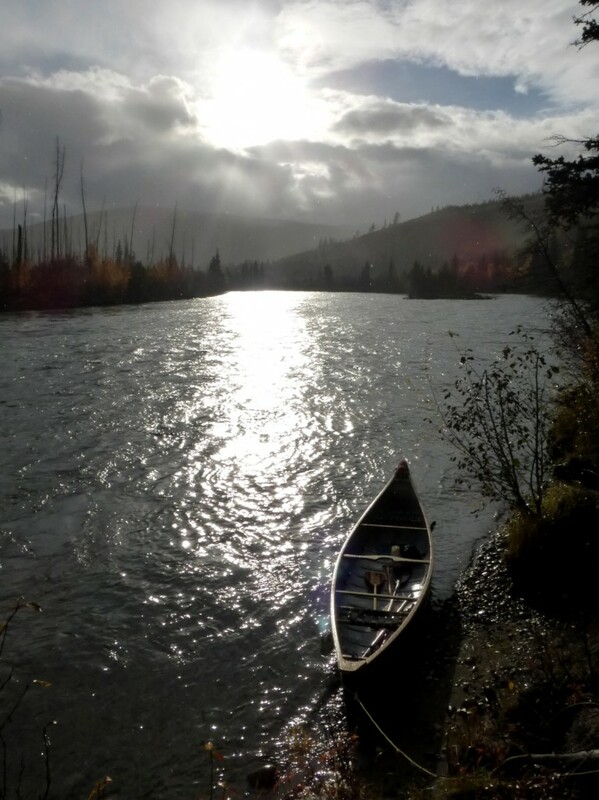 From here on, we float down the Yukon River, with occasional stops. Relicts from the times of the gold rush are always interesting to explore. Abandoned log cabins, gold dredges and other mining equipment are all that remains of those heydays, more than 100 years ago. A native cemetery at Little Salmon is a last stop before we reach our pull-out just past a small First Nation settlement. Here we get picked up by our van, and drive back along the Klondike Highway to Whitehorse. Day 13: Full of great memories you will move on at your own pace. The Big Salmon is suited for paddlers with experience. We will paddle 4 to 6 hours a day. Participants must be in good health.